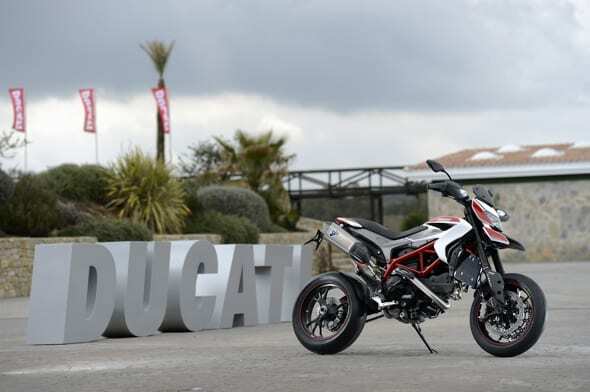 It’s odd that the Ducati Hypermotard is the first to benefit from the new 821cc motor given the more likely home in the Monster family. But we won’t quibble, and it adds a huge degree of sophistication to the bike thanks to the new fangled additions of the two extra valves per cylinder and the liquid cooling. No longer do you feel the agricultural rumble of the air-cooled engine with its lumpy low down characteristics, entertaining middle act and flat top end. Instead you get linearity, progression and dependability in delivery. Not only mechanically smoother, Ducati has employed its electronics to customise the delivery to a rider and/or the conditions. Sport mode is naturally sharp, requiring you to be on your game as you exit a turn or execute a wheelie. Touring mode suits just about every occasion, toning the initial kick down but still giving you the full bifter of the bike’s 110bhp. Urban mode knocks 35bhp off and softens delivery. Few would complain if Ducati just gave you its touring mode, but gadgets seem to be selling bikes these days. The chassis has also had a lot of work done to it, with the riding ergonomics much friendlier and more intuitive. Components have also changed, and a Bosch 9MP ABS system is now standard across the range. The result is the bike still rocks – although not everything is as it should be on such an aggressive bike. 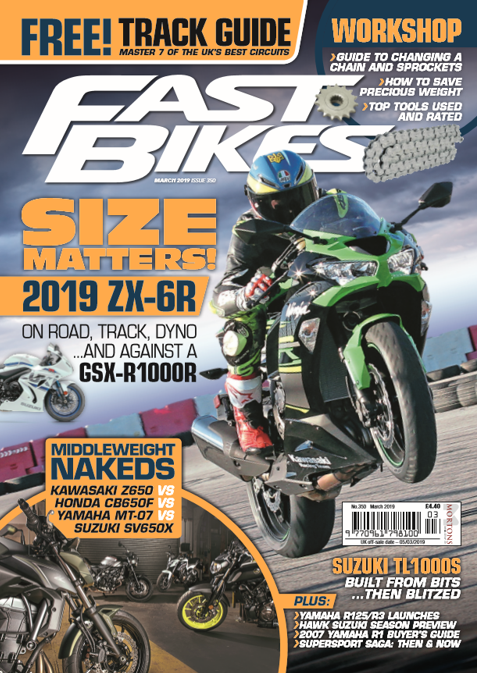 For more information check out the April edition of Fast Bikes out on 28th March.